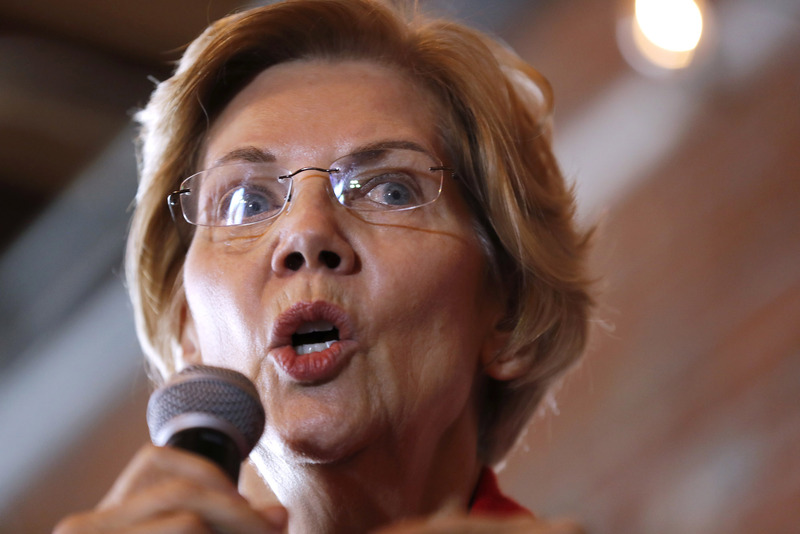 WASHINGTON - Tiptoeing along the edge of caricature, Sen. Elizabeth Warren says: Native Americans should be “at the table” with African-Americans for a “robust discussion” about making some Americans pay reparations to other Americans to atone for misdeeds by still other Americans. The enumeration of the misdeeds, and the assignment of guilt for them, will presumably come later. What is, however, already clear is that the Massachusetts Democrat is going to need a large table. If reparations are owed to the descendants of all members of minority groups that experienced protracted discrimination, the Irish can apply, citing the widespread practice of employers posting admonitions that “Irish need not apply.” Italians, too: An 1895 advertisement seeking labor to build a New York reservoir said whites would be paid $1.30 to $1.50 per day, “colored” workers $1.25 to $1.40 and Italians $1.15 to $1.25. Asians on the West Coast were subject to severe discrimination and violence. And Jews were restricted from acquiring the momentum that elite universities impart on the path to wealth. Native Americans and African-Americans experienced uniquely severe injustices. However, there must be some statute of limitations to close the books on attempts to assign guilt across many generations to many categories of offenders (racial, ethnic, class). How does one compute the compensation that can justly be extracted from persons who, although they participate today in the national prosperity to which slaves involuntarily made substantial contributions, had no participation in the injustices inflicted? It is also true that the nation as a whole was injured by the exclusion of African-Americans’ talents from American dynamism, both before and after hundreds of thousands of white Union soldiers were killed or maimed — should their descendants be exempted from paying reparations? — in the Civil War that ended slavery. But, then, semi-slavery survived for almost a century in Jim Crow laws after the end of Reconstruction. If, however, you doubt that American discord can become much worse, try launching a scramble among racial and ethnic constituencies to assign varying degrees of guilt to others for varying degrees of injuries. Should reparations be means-tested, making affluent African-Americans ineligible? To avoid using moral micrometers to measure guilt and injuries, should lump sums (taken from whom? by what mechanism?) be awarded to groups? Does it matter that 3.1 million African-Americans identify themselves as of mixed race? Or that in the 2010 census, 1.8 million people self-identified as both white and black? Who would administer reparations? And at what cost to social harmony? Racial preferences (“affirmative action”) remain broadly unpopular after more than 50 years (the Philadelphia Plan to integrate building-construction unions began in 1967). And which African-Americans shall count when counting for purposes of reparations? In 2005, The New York Times reported that since 1990, the average annual flow of immigrants from Africa — about 50,000 — had been more than came in chains in any of the peak years of the trans-Atlantic slave trade. There have been instances when reparations could be precisely targeted to defined cohorts that suffered clearly identifiable injuries. Consider an American infamy recounted in William K. Klingaman’s “The Darkest Year: The American Home Front, 1941-1942.” In 1942, U.S. Attorney General Francis Biddle and Secretary of War Henry Stimson said “there has been no substantial evidence of sabotage” by people of Japanese extraction living on America’s West Coast. 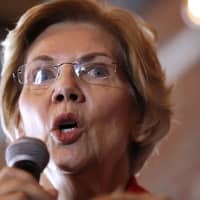 But California Attorney General Earl Warren said the “very absence of sabotage” was “the most ominous sign in the whole situation”: “I believe we are just being lulled into a false sense of security.” So, 120,000 American residents of Japanese descent — a majority of them U.S. citizens — were interned in camps. In 1988, each living survivor was promised a paltry $20,000 in compensation. Two more zeros would have been appropriate. A quarter-baked idea (reparations, a Green New Deal, Medicare-for-all) is floated. There is a stampede to endorse it before thinking about the idea’s dependence on enormous revenues of unknown origin and/or unavailable technologies. Then, when details, or the lack thereof, reveal the idea’s wild impracticality, the stampeders breezily say: Nevertheless, the idea is virtuous because it is “aspirational.” Which means that the Democratic Party is again assisting, as in 2016, Donald Trump’s electoral aspirations. George F. Will writes a column on politics and domestic and foreign affairs for The Washington Post.